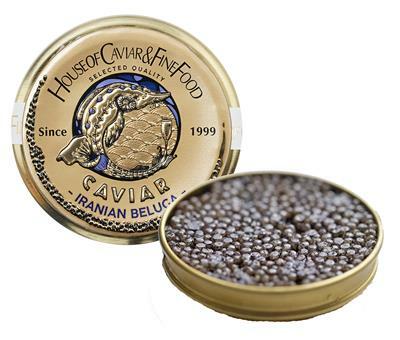 The rarest and mos tprized of caviar comes from the beluga sturgeon. Greish to brown-grey, the large grains have a slightly salty but beautifully creamy flavour. The largest of sturgeon, beluga sturgeons can reach lenghts of five meters, weigh in at 1.5 tons and live 100 years. The rarest and mos tprized of caviar comes from the beluga sturgeon. Greish to brown-grey, the large grains have a slightly salty but beautifully creamy flavour. The largest of sturgeon, beluga sturgeons can reach lenghts of five meters, weigh in at 1.5 tons and live 100 years.